Elaine Hancock (Olney, United States) on 21 September 2014 in Plant & Nature. Color version. In June I bought a new house. It has been having some renovations done and now it is finally ready. I am moving this week and am very excited about it! Since I have to pack up my computer for the move, I will not be able to make comments. I should have the computer set up by the end of the week. See you then! Great summer photo. 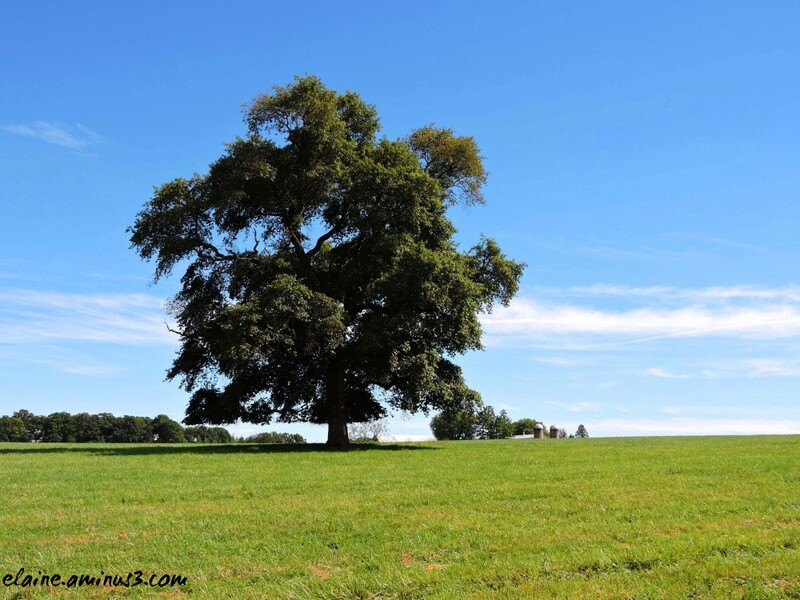 I always like lone trees in a meadow. Lone trees always make a statement like this - a fine example. Bon courage for the move ! Have a nice time moving in and settling down and let us have some pictures of your new home..
@Min (Eros): Thank you so much! I like the isolated tree. It makes an attractive image. I hope the move goes well and that you'll be back online soon. Simple. Simple and elegant. Good composition. This is lovely, but I prefer the B&W one. BEst of everything in your new home! may your new home keep you cozy in winter, cool in summer and sheltered during the rains. may your new home also give you a prosperous life full of happiness and free of pains. @curieuzeneuzemosterdpot: Thank you so much! The tree looks imposing in that flat landscape ... fabulous shot !!! How I love a tree .. this one so beautifully captured here ..! A simple but effective composition.